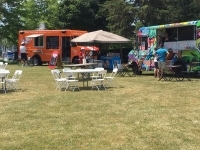 We love bringing our food trucks and food on the go to communities and events throughout Niagara. Read about our latest adventures right here! Engaged! Wedding! Getting Married! 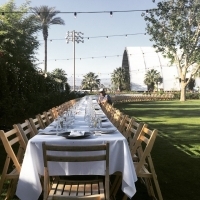 Who wants to talk catering? Engaged! Wedding! Getting Married! Who wants to talk catering? We are so excited to announce that we are quickly becoming the food choice for many engaged brides and grooms-to-be on their special wedding day! So I must mention to you that one of the services we provide through The Go-Go Food Co. is workplace catering. It's a terrific way of celebrating a company milestone, anniversary, employee retirement, you landed that huge contract or you want to give back to your most loyal of customers. Write a Blog They Said! Well, here I sit with IPad in hand, for hours....contemplating what I should write about. How I should write it. Structure? Is it it good. Does it catch interest? Do I have a good layout? FOOD! FOOD! FOOD! TRUCK! TRUCK! TRUCK! 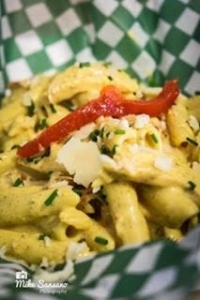 Penne Pollo has been a favourite since we first set up shop, and attempts to switch it out with different options have been met with serious discontent among our customers. 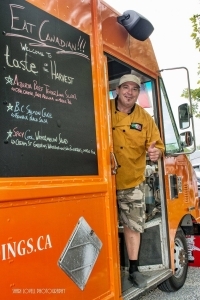 We had a great time with our Cucina A Go-Go Food Truck at the Welland Supper Market on Merritt Island on June 23! This is a great article by my Great article by my compadre, Ross Midgely, Niagara Chef. Proud to be part of Pride at the Pier! It was a beautiful Saturday for Pride at the Pier (Park) in Hamilton. And The Go-Go Food Co. was proud to be part of it!